Our company is specialized in amusement equipment for more than 10 years. 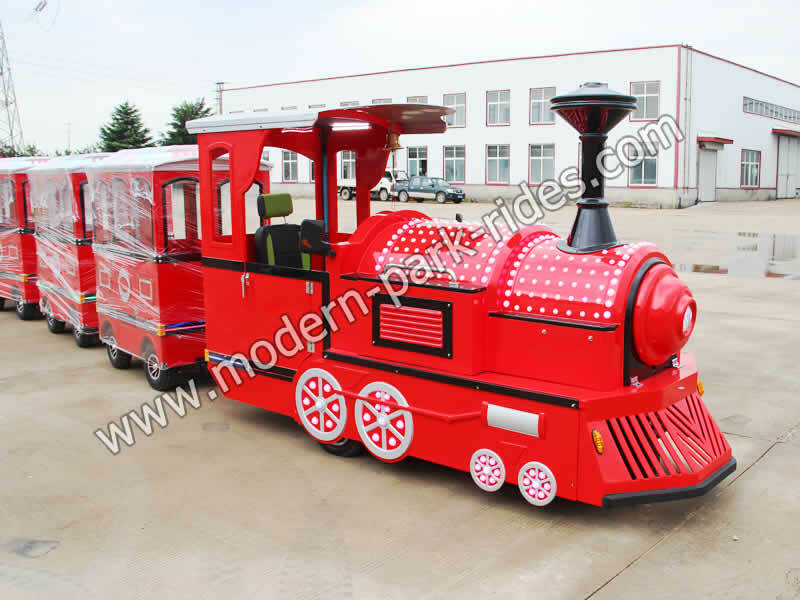 Trackless train is one of our main product. The material is FRP and steel. It is very popular with children and even adults. We have many models of trackless train and the color is various. We can customize the color by your requirements. Suit place: the amusement park, big square, supermarket, public garden. 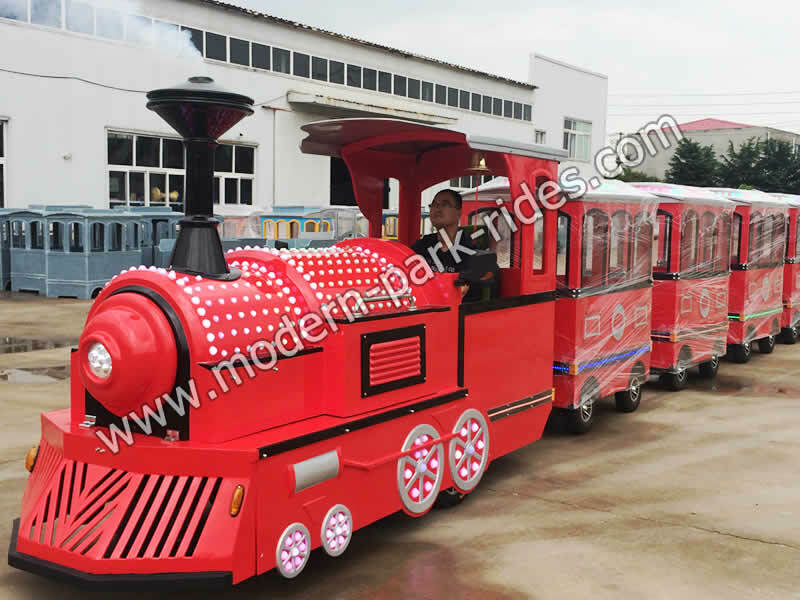 Amusement trackless train is a new type of amusement park rides for kidst consists of beautiful shaped, composition of different styles, mighty fleet of sports cars. The amusement ride is with colorful lights, sound and children cartoon paintings, in order to let the children experience the feeling of time and space over the mountains and leap.It is very thrilling and with no sense of panic.